Page Parkes Model + Talent: Page Parkes Countdown 2014: #13 Goes to David Simpson! Page Parkes Countdown 2014: #13 Goes to David Simpson! Ladies and gentlemen, step right up to the big top because our #13 spot goes to the ever talented David Simpson when he starred in this season of American Horror Story! 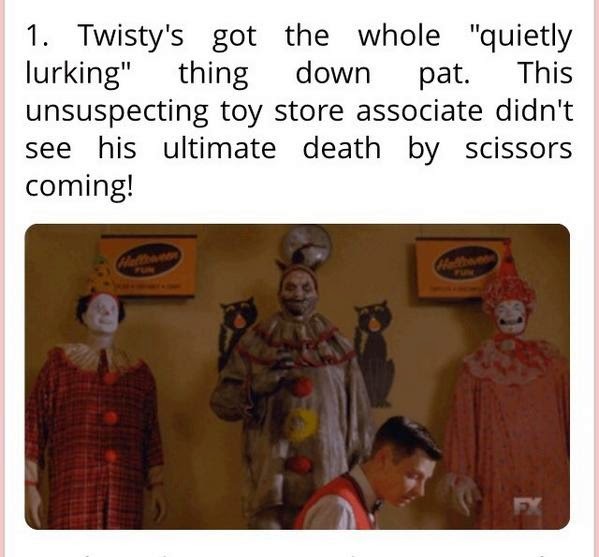 Who doesn't love being killed off by a creepy clown?! This season focused on the concept of a freak show, set in the city of Jupiter, Florida during the 1950s. We love that David was able to be a part of such a hit show that has countless nominations and 34 awards including the Emmy, Golden Globe, and SAG!